What do the principles of entrepreneurship have to teach you about your career, even if you don't want to start your own business? 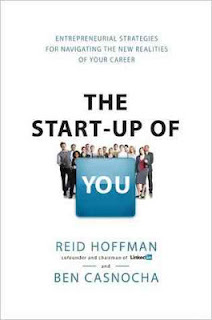 That is the message of the incredible book I just finished reading by LinkedIn founder Reid Hoffman and entrepreneur Ben Casanocha: The Start-up of You. For the past year I have been living a dream job filled with risk, adventure, and airplanes. If you had asked me when I graduated college if I would have been doing what I'm doing now, I would have just laughed and said that sounds like someone else. 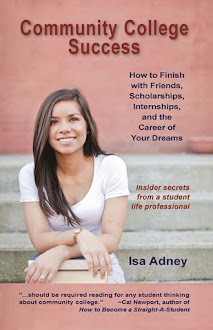 For the past year almost everyone I meet asks me some form of the question "where do you want to go with your career?" I'm often caught off guard because, honestly, I don't know what the future holds. I love that, but it also scares me sometimes. My answer to that question usually goes something like this: "I don't know what will come next; I could have never known I'd be where I am now. My only plan is to keep doing what I did to get this far - learn like crazy, meet lots of people who are way cooler than me, and work really hard." The Start-up of You reinforced that this kind of present-focused, people-focused, and learning-focused "plan" is a good thing (whew - thanks Reid and Ben for making me feel better!). The truth is, you do want to have some direction, but you must be open to change. If not, opportunities will pass you by. We don't know what the jobs of tomorrow will look like, so the best thing you can do for your career is to focus on learning today. Every time someone asks you "what's next" (which they will a lot - it's a human-nature kind of question) take that time to think about what you are doing today. Are you meeting with an interesting person? Are you reading a new book? Are you applying for a new and challenging learning experience? Are you volunteering for projects that interest you at your current job? The best way to guarantee a compelling and exciting career for your future is to learn like crazy and surround yourself with people you admire. 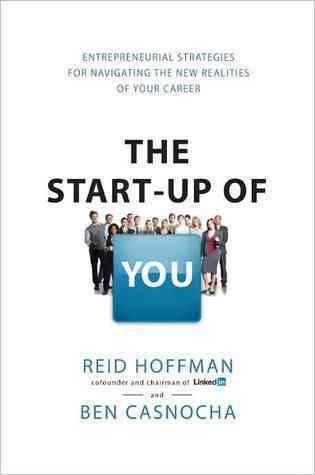 Also, read The Start-up of You. It will pump you up for your next adventure, and give you the tools you need to get started. Disclosure: Unless stated otherwise at the beginning of a post, any book I recommend is because I've read it, loved it, and couldn't keep it to myself. I only share books I think will help you and that I love like crazy.